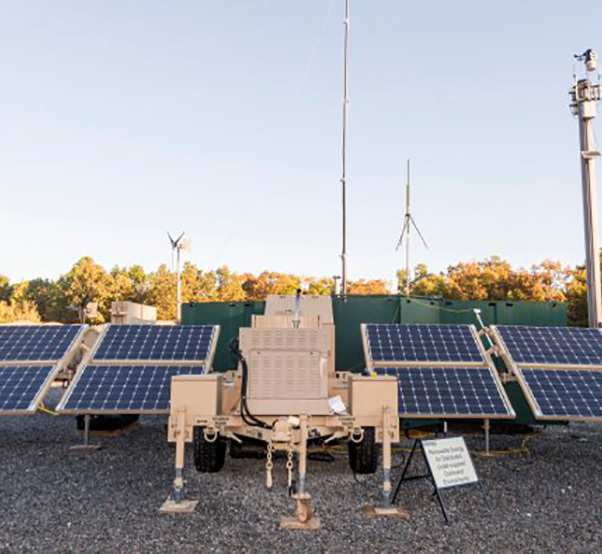 Renewable Energy for Distributed Under-Supplied Command Environments, which is a mobile, scalable framework of solar panels enabling remote power generation, upgraded energy storage devices, and power management controls that reduce power requirements from generators is shown. Army researchers assessed energy saving technologies and quality-of-life standards for extra-small and small base camps of 50-1,000 soldiers at the Sustainability Logistics Basing, Science and Technology Objective-Demonstration Demonstration 1 held at the Fort Devens’ Force Provider facility in Massachusetts. “Energy and water issues — operational energy, water and waste – these and other aspects of sustaining our force create vulnerabilities our enemies have in the past and will exploit in the future,” Richard Kidd said. Kidd, who serves as the deputy assistant secretary of the Army for energy and sustainability, said he’s excited to talk about “operational energy” — “I could go on all day,” he said. 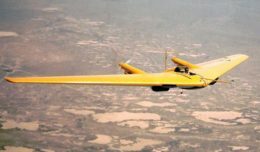 In particular, Kidd is interested in finding ways to make it so that combat outposts and forward operating bases, or FOBs, of the future are far less dependent on logistical support than what they were during Afghanistan and Iraq. For the Army, this means that operating bases will need to use less fuel and less water, and they will need to generate less waste. That goal doesn’t mean Soldiers will need to have a lower quality of life. Laptops can still be charged, hot showers can still be enjoyed, and hot food can still be eaten, he said. But what it does mean is that the Army will find ways to do all these things that don’t require nearly as many resupply missions as they have over the last 14 years. From his perspective as a warfighter, Maj. Gen. Steven A Shapiro, director of plans, operations and distribution and assistant deputy chief of staff, Army G-4, said for the force of 2025 to be successful, things must change in the way the commanders use resources on combat facilities. In World War II, Shapiro said, the Army used about one gallon of fuel each day for each soldier. Today, that number is up to 20 gallons. Concerns regarding inefficient use of fuel on a FOB go well beyond the cost in dollars, Shapiro said. What it really boils down to is that fuel used in theater, and water used in theater, both have to be delivered by re-supply convoys, through dangerous areas. Those convoys are manned by other Soldiers. Inefficient use of fuel or water on a FOB means that more Soldiers will go into harm’s way as part of the logistics resupply effort. Shapiro said the Army is committed to making itself more energy and water efficient at the tactical level. We are able to do this through advanced research and development that is creating more fuel-efficient power generation. These generators are able to establish plug and play power generation grids that operate at an optimum capacity, while turning generators off and on as needed. The Army will find ways to reduce both fuel and water use, to reduce re-supply missions and make installations more resilient and independent, while at the same time maintaining an acceptable quality of life for soldiers. Guiding the Army’s efforts to make more fuel and water-efficient installations, both stateside and in-theater, is the recently-signed “Energy Security and Sustainability Strategy.” The Army calls it “ES2” for short. Other goals in ES2 are to optimize use of resources; assure access to energy, water and land; build resiliency by advancing the ability of systems, installations, personnel and units to respond to unforeseen disruptions in delivery of resources; and drive innovation. “These goals should inform the development across the Army of programs and regulations and doctrine,” Kidd said. Shapiro and his team received guidance from the Army Management Advisory Group, and he’s been tasked to look at contingency basing, which is one aspect of operational energy where the group thinks great improvement can be made. He cited a visit to a base camp in Turkey, the problems experienced there, and the subsequent solution, as being an example of how things could change for the Army in the future. Shapiro said he brought out representatives from the Rapid Equipping Force, and they put in rigid walled shelters. “We want to put rigid-walled shelters in our deployment packages so if you go to a remote site, either extreme cold or extreme heat, the shelter can maintain the right temperature and you don’t have to use as much fuel to keep your ECUs operating,” he said. Shapiro said that most recently, in Liberia, during the Army’s Ebola response there, Soldiers were equipped with “fairly modern” force provider kits outfitted with equipment that has been experimented with at both Fort Devens, Massachusetts, Base Camp Integration Lab and Fort Bliss, Texas, during the Network Integration Evaluations that happen there. In Afghanistan, as forces drew down, Kidd said one thing going into the country were material solutions to decrease energy usage by increasing energy efficiency. At Nimroz, they went to one 250kw generator with a 12kw load, down from 13 generators. Also, the site got a backup generator and two “hybrid sites,” which included a trailer with a generator, battery pack and solar panel, to provide power for very specific missions, such as a camera system. If the solar-charged battery didn’t prove to be enough energy, the generator could kick on. Total fuel savings for the project came to about 1,600 gallons a week. There was also a reduction in labor hours for refiling of about 30 hours a week, Kidd said. And finally, there was a reduction in maintenance on the generators of about 20 hours a week. About eight of 10 maintainers could be tasked to do work elsewhere. Nathan Cornell, Army’s program manager for operational energy, said there are some goals already set for the “basecamp for force of 2025.” Included among those goals are a 50 percent reduction in fuel use, a 90 percent reduction in water use, and an 80 percent decrease in waste production. He said by 2019, the Army should know what kind of equipment set will be needed to reach those goals. “That’s going to make that force more sustainable in the future and easier to deploy,” he said. What the Army will get, he said, is something that is affordable, sustainable and that soldiers can use. At the recent NIE, he said, the Army evaluated, among other things, a gray water recycling system, and two micro-grid setups as well. “What that micro-grid did is help them learn that they probably need only half as much power they used to need in order to run a camp, just because of the ability to centralize the centralization of distribution,” Cornell said. “Soldiers love those,” Cornell said.